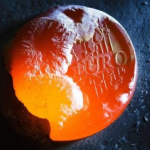 Los Angeles, CA – April gold futures fell for the sixth time in seven days Thursday on fresh news out of the European Sovereign debt crisis. Gold fell 0.4% to $1727.50 an ounce and Silver dipped down .27% to $33.41 an ounce after EU officials postponed an important meeting to decide on additional bailout measures for Greece. As a consequence, the value of the Euro declined and investor fears were rekindled that a chaotic default could be eminent for Greece. 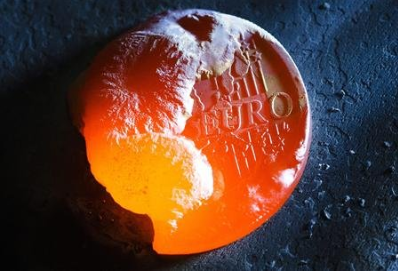 Since 2010, the continued worry of a Greek default has had investors running to safe-haven investments such as gold, especially during these types of geo-political turbulence. “Clearly, there is mounting concern in the background about Greece”, Standard Chartered analyst Daniel Smith said in a recent telephone interview; “In reality, we could see a bit more weakness across the board in terms of the metal markets, but I don’t really see much downside in gold. Gold is, so far, finding a fairly solid floor around $1700.00. I would say I think the next move will be up, but it’s a question of timing.” Thus far, the pattern remains the worse the news out of Europe, the more investors buy gold and other precious metals to safe-guard their wealth. Gold is up 10% in 2012 thus far despite the current soft spot in the precious metals market. Recently, better-than-expected U.S. economic data caused a rally in the U.S. dollar index. Typically, a stronger dollar tends to weigh on gold prices by making dollar-priced commodities more expensive for other currency holders and reduces the metal’s appeal as an alternative asset. None the less, many financial analysts do not believe a large sell-off of the yellow metal is at all likely due to strong on-going investor demand. This week, Reuters.com reported that gold purchases by Central banks hit the highest volume in 40 years. In addition, demand for gold continues to expand worldwide as recently, as the website also reported that China is set to overtake India as the biggest consumer of gold. Many investors will look to the March 20 bond redemption deadline where Greece is obligated to pay 14.5 billion Euros as they become due or face default.